God works in each soul in the way He chooses. The seed of a vocation is planted by him within the soul from the beginning as is seen in the call of the prophet Jeremiah: "Before I formed you in the womb I knew you’ before you came to birth I consecrated you, I have appointed you as a prophet to the nations." In order to help the seed of a vocation to grow, God uses persons and events in our lives but all the while He continues to be the One who calls. Good Catholic parents helped to cultivate the seedling of my vacation by bringing me up in the love and fear of God through word and example and by the Catholic education they provided at the cost of many personal sacrifices. My mother highly esteemed the dedicated priests and sisters in our parish from whom she received much support for her faith in times of sorrow and difficulty. She often remarked that she would like to see one of her children become a religious and give the Lord a return of love as she had witnessed in the good priests and sisters. 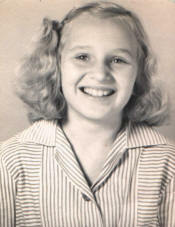 My schooling was under the wise direction and guidance of the Ursuline Sisters. During this time the Sisters often hinted that I might have a religious vocation and they advised me to think and pray about it. Their prayers and encouragement were a strong support. Family: (Front l-r) Marguerite, Frances (MaMa), Betty Jean, Frank (PaPa). (Back l-r) Katherine, John, Marylene and Albert (Bud). While in high school an unexpected sorrow touched my life. Once as I was prayerfully pondering over it there seemed to be an inner call similar to that given to Isaiah when our Lord summoned him: ‘Whom shall I send? Who will go for us?" HERE I AM. I said, SEND ME. This ‘sending forth’ would not be a going into the world but rather a withdrawal from the world to follow Christ more closely in the prayer. solitude and silence of His sacred Passion. Although the Passionist Nuns and their life was known to me only vaguely, yet I felt drawn at the this time to their cloistered contemplative life. 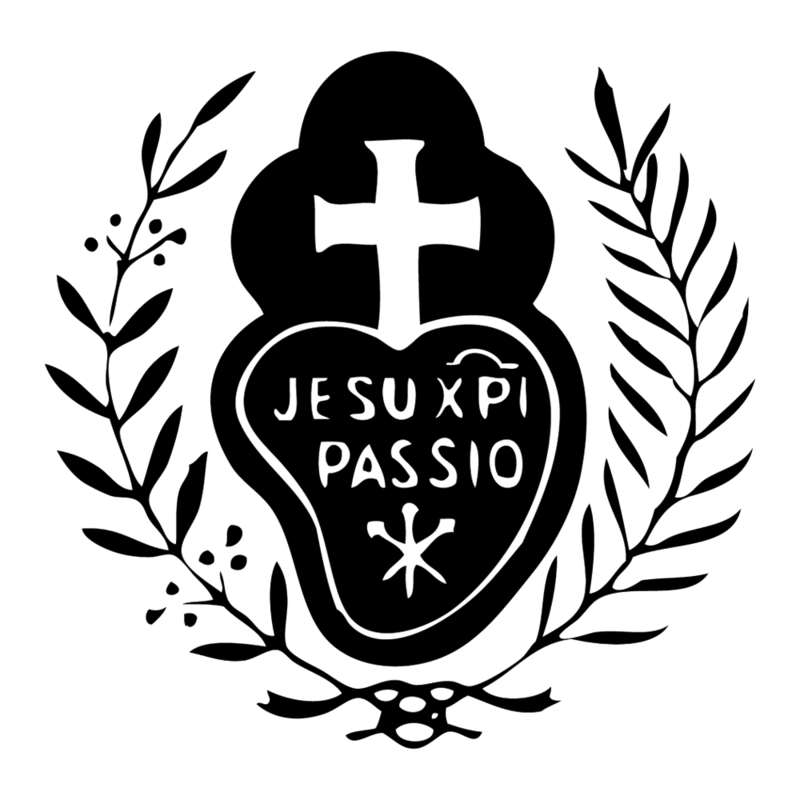 Now, it is clear to me that this attraction to the Passionist vocation was God’s answer to my request that He send me forth into a life of love, prayer, penance and reparation. The Passionist Nun, in imitation of Mary at the foot of the Cross, spends her life in worship of the Father in union with Jesus Crucified, while praying that all souls will turn to Him for pardon, grace. and peace. After the completion of high school the attraction to the cloister remained but while my mother was anxious to have one of her children be a teaching sister she was frightened at the thought of the cloister, mistakenly thinking she would never again see her daughter. Amidst tearful entreaties I decided to postpone my entrance and take a college course instead. At the end of my first year at College, my mother became seriously ill. The surgical and hospital expenses cut deep into my dad’s pocket and in order not to deplete the family funds I felt I needed to be self supporting and find work. The thought of a religious vocation slipped further into the future although the call was still deep in my heart. 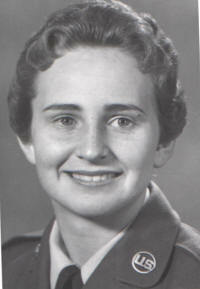 Continuing to pray for Divine guidance I nonetheless listened to other ‘voices’ urging me to see the world, so I enlisted in Women’s Air Force. Looking back, it is evident that God permitted this for my greater maturity. It also gave me the opportunity to realize more fully HOW MUCH the world needs persons totally dedicated to Our Lord, to make atonement with Him by prayer and loving sacrifice. Even though there was a certain liking for my life in the military. I was restless and inwardly searching as the conviction deepened that nothing in this world cart truly satisfy the longing of the human heart. Betty Jean ready for action in the air! With only six months of my enlistment period remaining, God intervened through people and events to help me know and fulfill His designs. At this time I was reassigned to work in the Chaplain’s Office. One day the Chaplain, Fr. Wood, asked me the unexpected and soul searching question, ‘Elizabeth. did you ever think of being a Sister?" My surprised response was another question: "How did you know, Father?" Father was a "voice Crying out in the wilderness" of my heart. Putting myself under Father’s capable direction I followed his advice to attend daily Mass and to read good spiritual books with which he provided me. Armed with these and other spiritual aids, especially a novena of prayer to our Mother of Perpetual Help, my hope was strengthened and my hidden early desire was revived. Father Wood helped me obtain my release from service and I was free to return home to fulfill the plan God had for me from all eternity... Serving Him under the banner of the Cross.With much trepidation I told my parents that I had applied for entrance to the Passionist Nuns. Much to my surprise they made no objection. Perhaps my stint in the military had sufficiently detached them from my physical presence. What peace, joy and contentment there has been in my Passionist vocation, doing what God wanted of me instead of following the "other voices" of my own natural attractions. And the thought that I could have lost this "pearl of great price" of God’s special call, leaves me humbled and vigilant to thank Him every day for His ever present mercy. God is faithful! It is my daily prayer that our young people and all who seek to follow Jesus more closely will do everything possible to respond to His loving call, especially by praying daily for the light and guidance of the Holy Spirit. If God calls someone to the religious life, He will always give the necessary grace and help. Many times His help comes through the persons and events of our everyday lives, so I pray that our youth will LISTEN ATTENTIVELY to our Lord’s VOICE speaking through these persons and events and respond with courage and generosity. As our Lord in the Gospel looked on the young man with love, likewise today he is looking on YOU to help him in His saving work within the Church, to bring about His kingdom. We are His hands and feet today. It is also my prayer that parents will be instrumental in fostering and encouraging religious vocations in their families. Thank you for letting me share the way God called and led me to serve Him in a Passionist Vocation.